I have been going to libraries to publish my blog. 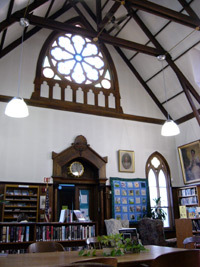 Most of the libraries in this area are old churches. 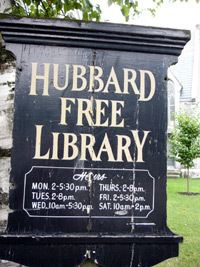 Yesterday, I was looking for the Hubbard Free Library in Hallowell and I asked some one while we were right in front of it. 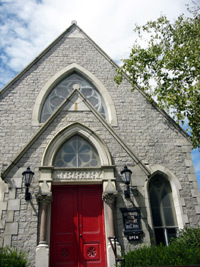 I thought it was a church. I came back today to post this, and some poems I wrote last night about Water Street whilst sitting on the porch of the Edwards House Inn.